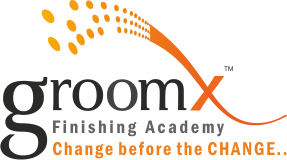 GroomX provides cost-effective, customizable, business skills workshops to help technical experts develop the practices professional communicators use to influence, inform, motivate, and solve problems. Future Trends / Future Opportunities in Business are the highlights of this training. Learn how you can help your business grow and flourish through good time-management practices, learning how to find and utilize key resources, including networking and technology. Home Based Business Owners, The New Entrepreneur, Business Owners/Managers of smaller businesses (1-100) who want to learn, grow, share, collaborate and thrive.